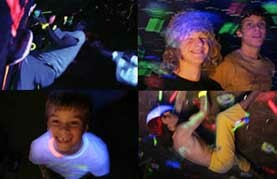 Blacklight Bouldering Results - NEW!! 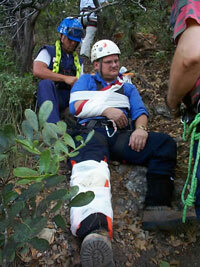 Wilderness and Remote First Aid Course - NEW DATE & TIME!! College Night - NOW EVERY FRIDAY!! SALE! : Membership Sale - 1 DAY ONLY! - NEW!! SALE! 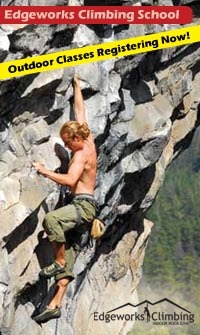 : Climbing School 50% off for members! - NEW!! The Blacklight Bouldering Competition was a great success! Some of the best climbers in Tacoma, the Northwest and the World showed up to compete. Click Here! for YOUTH RESULTS! Click Here! for ADULT RESULTS! Ideal for scouts, outdoor enthusiasts or employees in remote environments an hour or more from EMS response, our new 16-hour Wilderness and Remote First Aid course gives you the skills and confidence you need to respond to an emergency when help may be delayed. 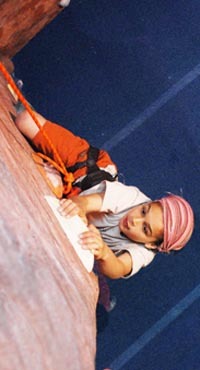 Edgeworks Climbing Winter Break Camps are a fun and active way for young climbers of all abilities to spend their break. Spend time with our youth instructors and coaches learning the basics of climbing and belaying with a mix of plenty of games and activities. An Edgeworks Winter Break Camp is an adventure that you will never forget! Seeking a higher education? 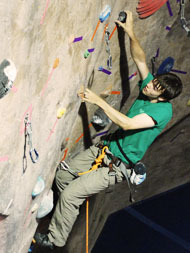 Let off some steam and join other students for an evening of climbing at a discounted rate. Day passes are $9 with a valid Washington State College ID. Animal: Dog. Jellyfish have been catching my eye lately too. Music: Everything but Rap & Heavy Metal. Movie: The Game until I realized you can’t watch it more than once. I love movies that keep me guessing and on the edge of my seat. Book: The type that you can learn about human nature. 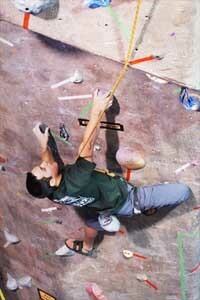 Climbing: Started 5 years ago, but have been out of it for a while due to injury. Back in 4 months. Favorite Spot: Vantage so far. Dream Climbing Spot: Deep sea soloing in Thailand sounds fun. Quick Tip: Even if you can only move an inch, do it. The Meaning of Life: To be happy and give of yourself to others. During the month of December members can take courses at 50% off! Another great reason to become an Edgeworks member this month! Edgeworks members receive a 50% discount on Dec. courses! There are 60 new bouldering routes up thanks to the Blacklight Bouldering Competition! Check out the exciting new happenings at Edgeworks in November and December. 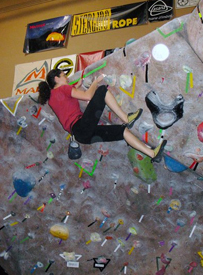 Ladies - Come on in and climb after 5pm at a discounted rate. Meet lots of new friends and climb hard with old friends. $9 Day Pass. College Night - 5-10pm, Every Friday night!